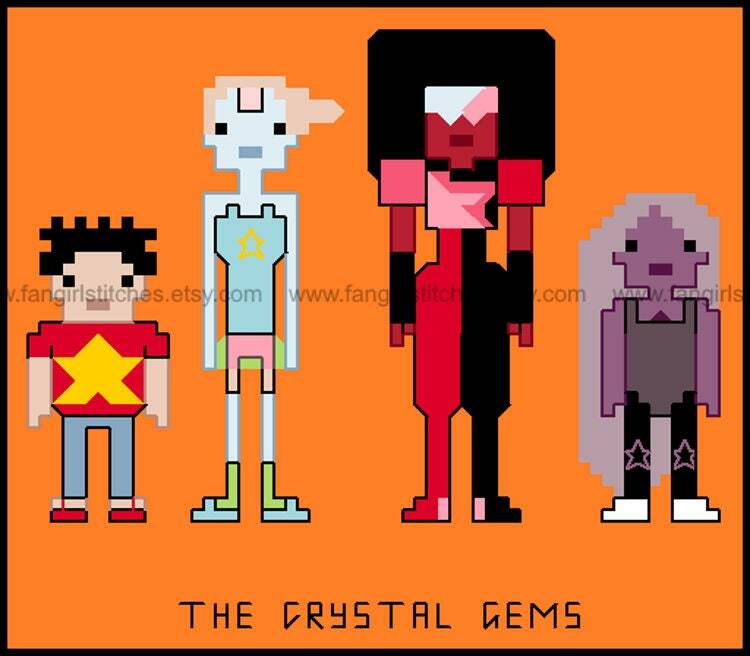 Garnet, Amethyst, and Pearl and Steven!" 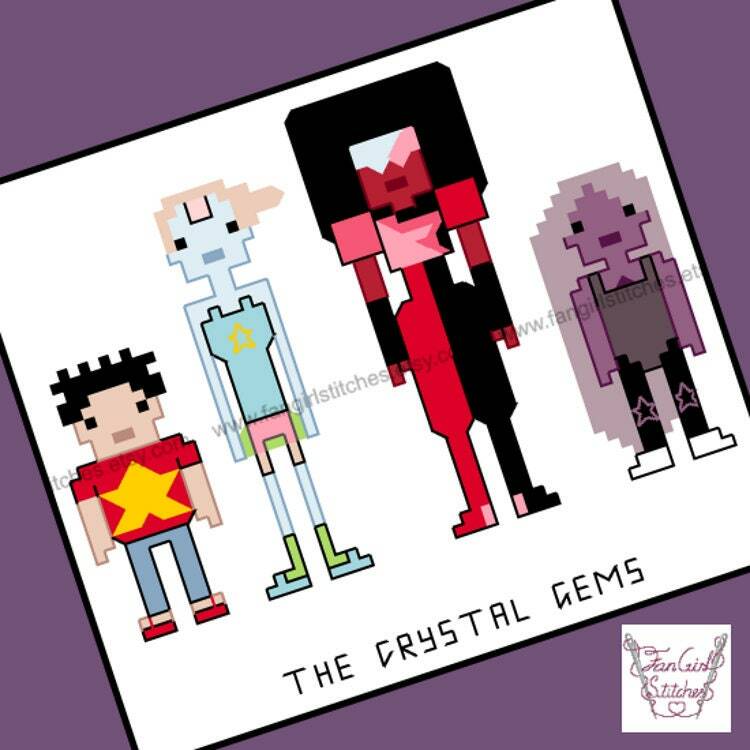 Have fun with the goofball Steven and other Crystal Gems with this fun, new Steven Universe cross stitch pattern. 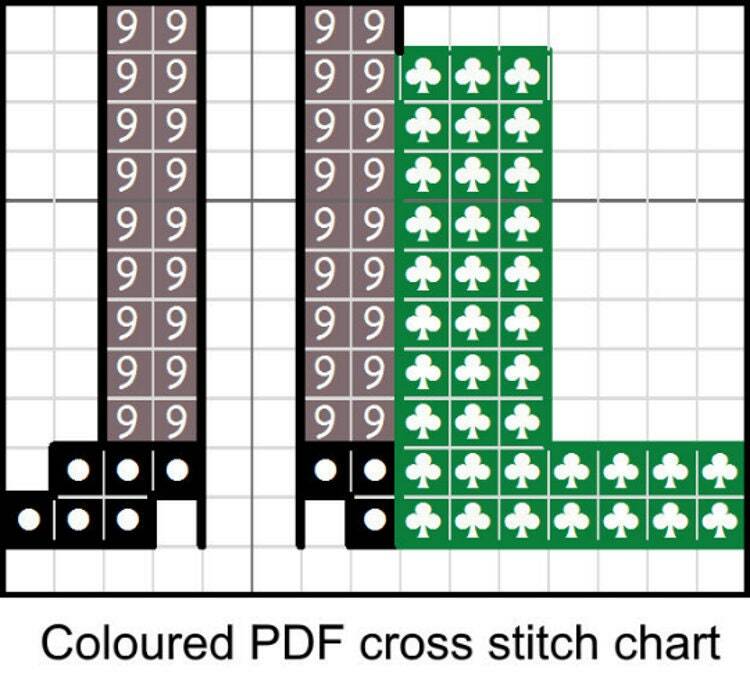 This design includes whole stitch, fractional stitch, back stitch, and is suitable for beginner stitchers. 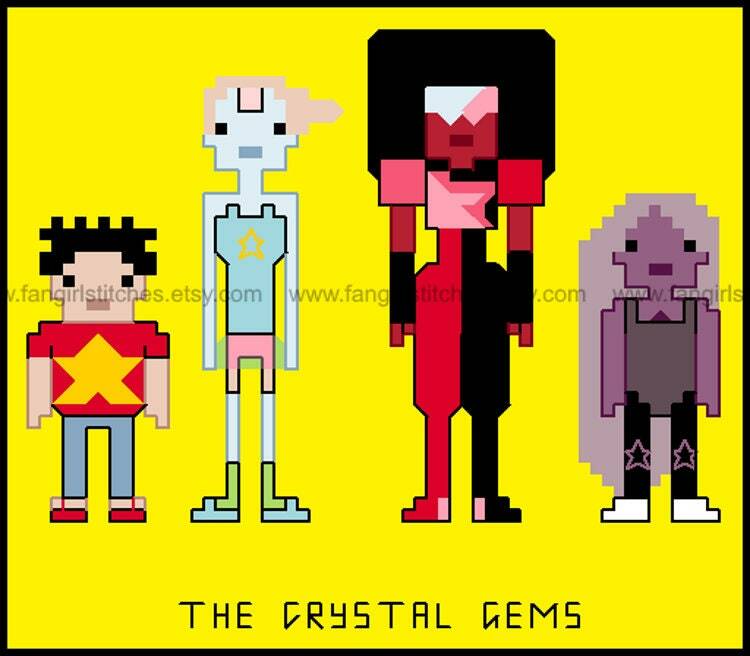 This is a parody (inspirational) work. 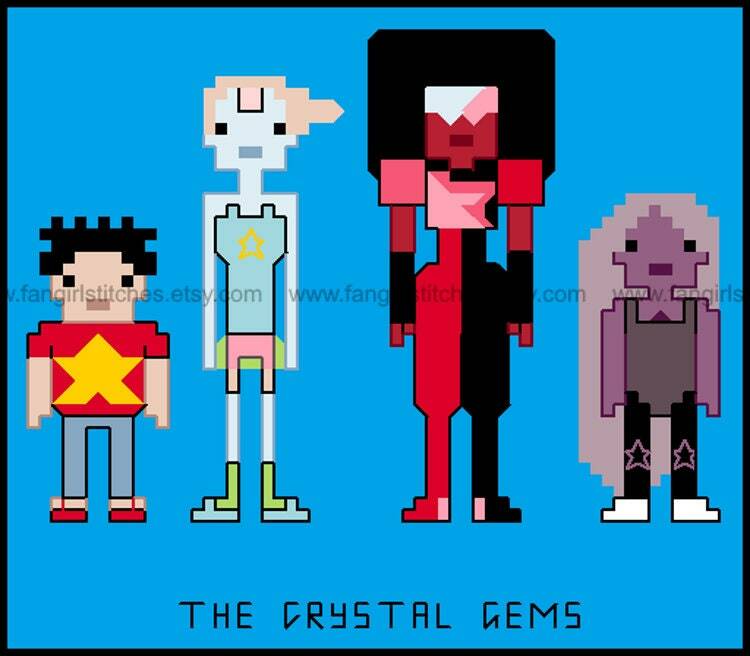 Steven Universe and its characters are copyrights and/or registered trademarks of Warner Bros. This production is not sponsored, endorsed by or affiliated with Warner Bros or any of its subsidiaries or affiliated companies and/or third party licensors.